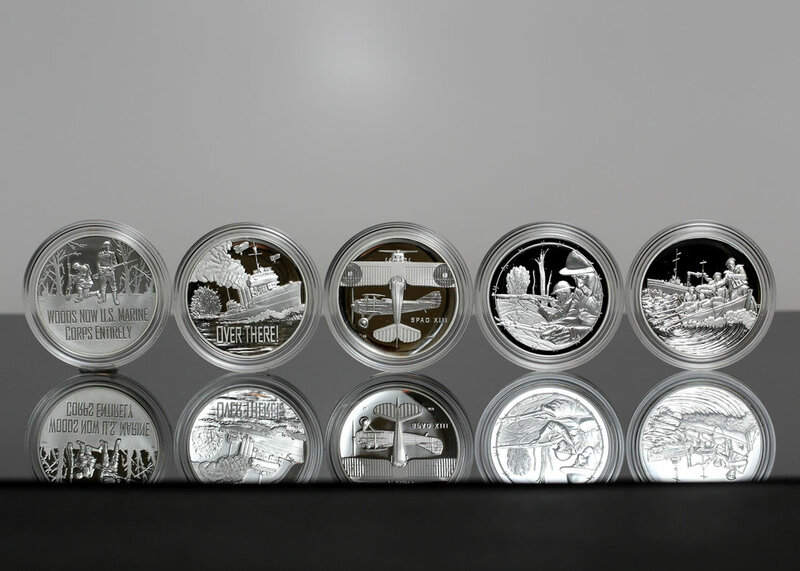 Overall demand for United States Mint collector products climbed for a third week in row, the latest round of sales figures show. WWI Centennial Silver Medals were among the outperformers. 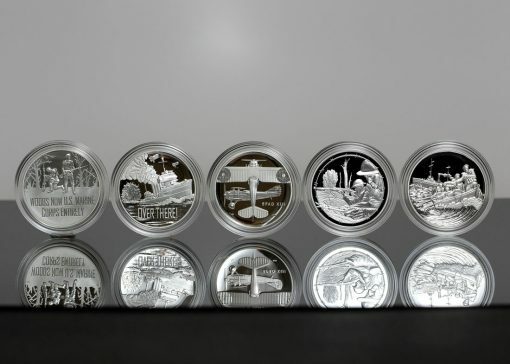 Following months of reductions associated to cancellations and returns, the centennial medals have posted positive gains for a second straight week — despite having gone off-sale on Feb. 20. Elsewhere, the recently released 2018-W Uncirculated American Gold Eagle is quickly approaching final sales of last year’s coin, which ended at a mintage low for the series at 5,800. The newest 22-karat gold piece scored 11-day sales of 4,844 coins after adding in the latest weekly advance of 695. In its latest report, the U.S. Mint published sales data for 164 numismatic products. Fifty-eight of them outperformed their prior weekly gains against 45 previously. Four products increased by more than 1,000 units compared to 5 previously. In addition, 1 product saw its sales total reduced against 7 in the previous report. The Voyageurs Quarters Three-Coin Set dropped by 285 units to 10,586. Below are tables showing the latest sales for U.S. Mint numismatic products. The sales period covers from July 16 to 22. Products with an asterisk (*) are no longer available or had no reported sales. Where are the Medal sets even being sold? At the Mint itself? How the phuck are they selling the WW1 medal sets NOW & to who….now Mike Meshak & his kids have some more I guess. Can I buy a bimettalic Unc Library of Conre$$ coin USM? They only went off sale like 15 years ago…..maybe an 1804 $1! Why are you not selling some of the MILLIOMNS & Millions of Pres dollars loitering in vaults?? ?